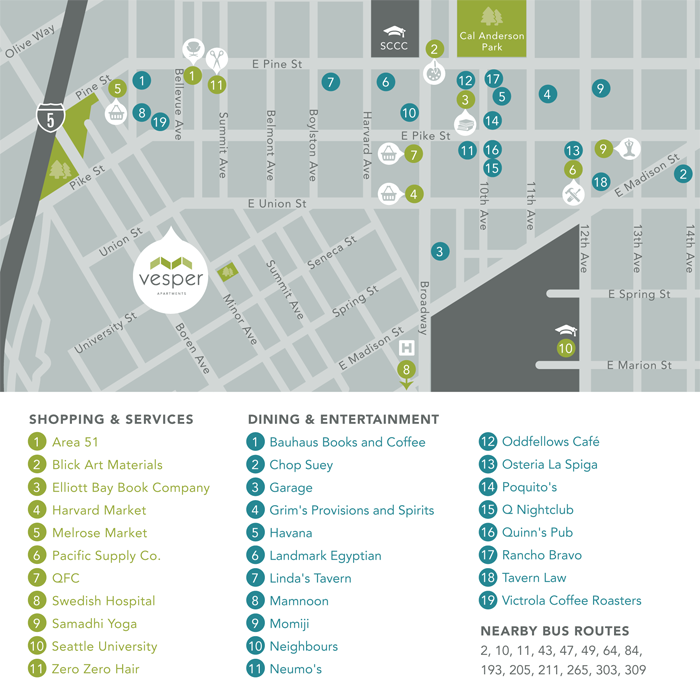 Tucked into a quiet, tree-stitched pocket between Seattle’s vibrant Capitol Hill and First Hill neighborhoods, just blocks from Downtown, Vesper residents set their own urban volume with 360-access to work, play and peace. 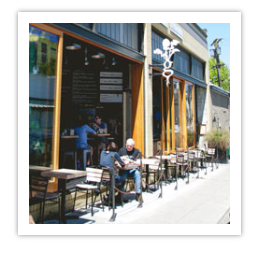 Walk or bike it to the Seattle’s epicenter of arts and entertainment at Pike-Pine, where eclectic shops and artsy coffee houses buzz by day and a fierce dining scene, plenty of live music, and wild libations create a choose-your-own-adventure evening. Need to tune out? Stroll to one of your many nearby yoga or fitness studios, take a Barre class, or keep it simple by relaxing in Cal Anderson or Volunteer Park.